did it take 12 years for them to backengineer roswell craft? 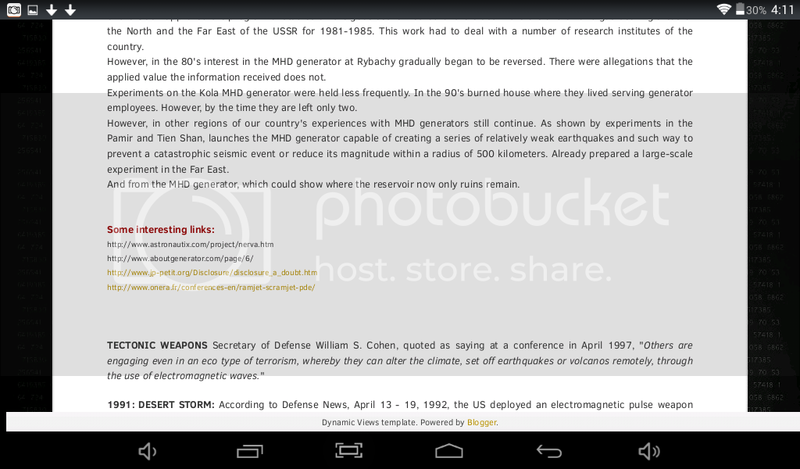 this guy has a bunch of mhd stuff a great blog.worth reading.talks about mhd being used for earthquakes and searching for minerals. also some hints at the b2 bomber and also international cooperation in mhd research. these guys got it going on.a lab in france. 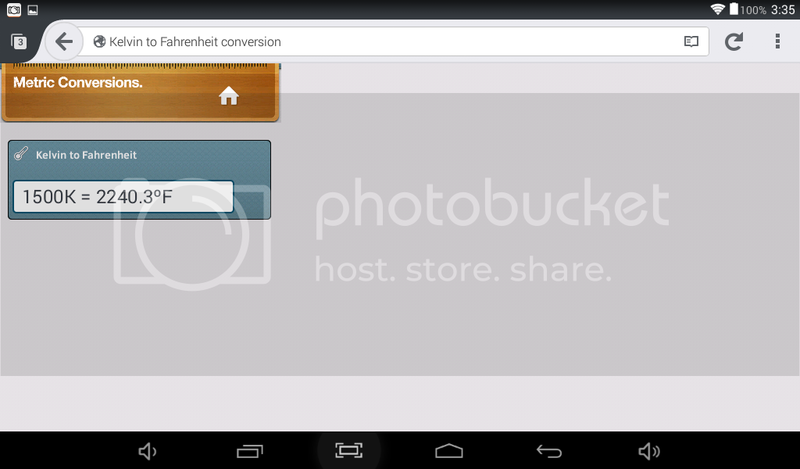 i dont think brass will be able to handle that heat.i may need to make a plumbbob out of iron/steel. 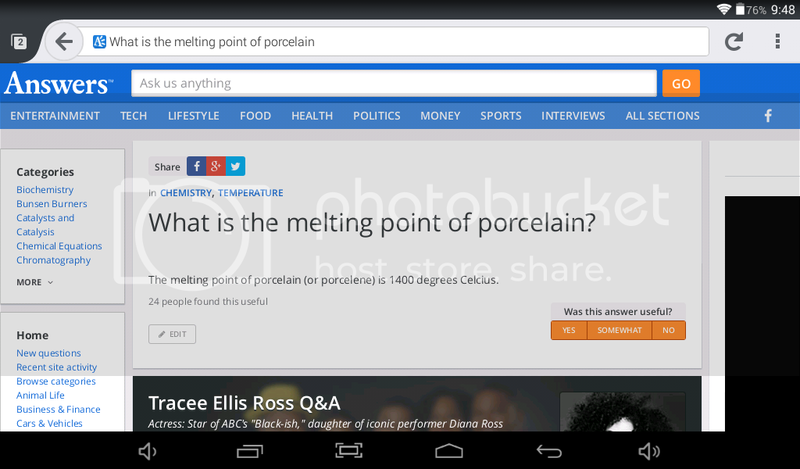 im also worried about the silicone catching fire .the ceramic should be fine. i may only need that temp at the bottom of unit and not entire central collumn. 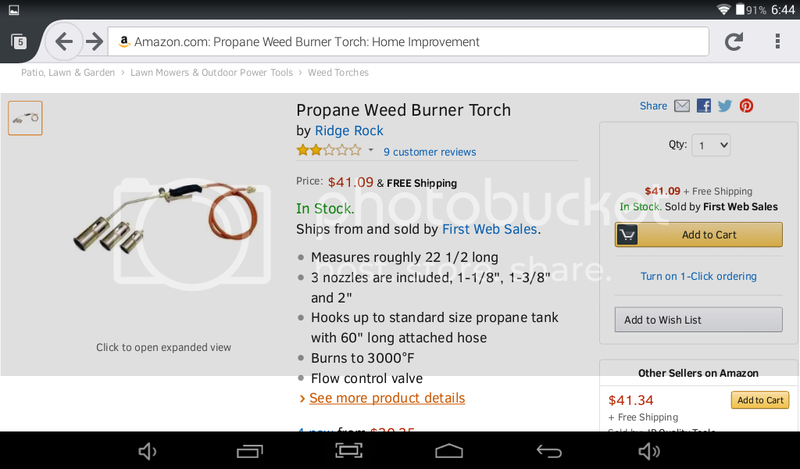 this may be what i need.propane is cheap and that torch details says 3000°f. 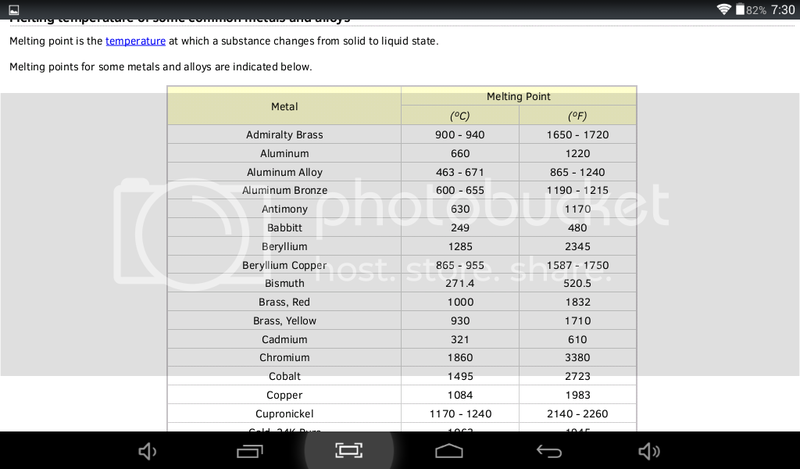 yep brass will not hold up.i need an iron one.plus i dont have to worry about the brass reacting with the mercury.this is a melting point chart. i like this guys english.not all scientifically.clear and precise. 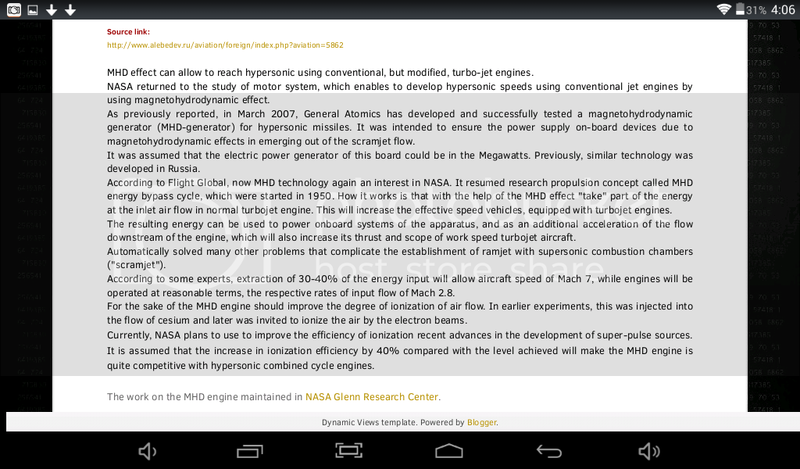 talks about expansion nozzle which is what i was calling venturi/washer. 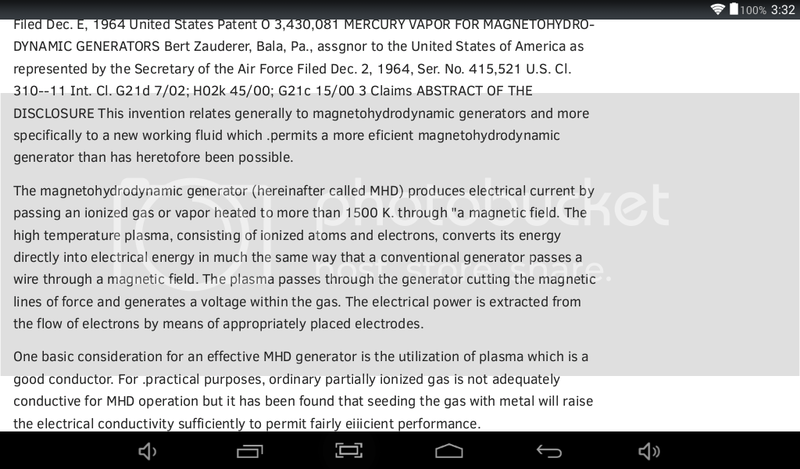 he is able to get high efficiency without barium.even talks about stripping almost all kinetic energy from gas. 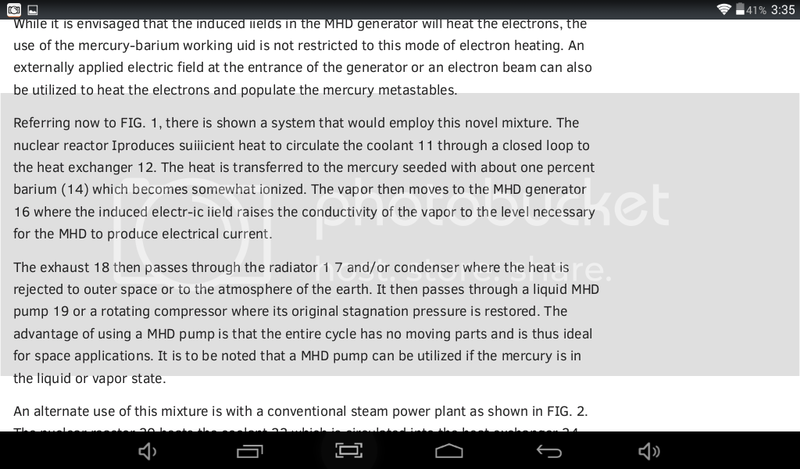 the simpsons did an episode with elon musk.in it he mentions mhd for nuclear reactors. 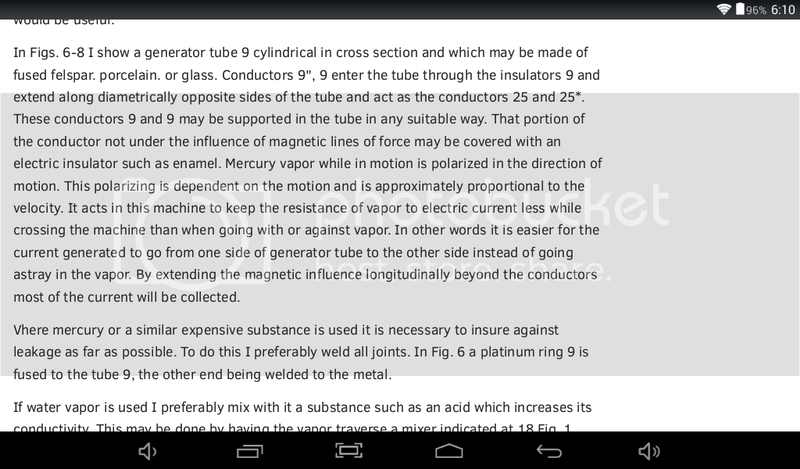 this shows that ignition can happen with mercury,even under a low pressure. 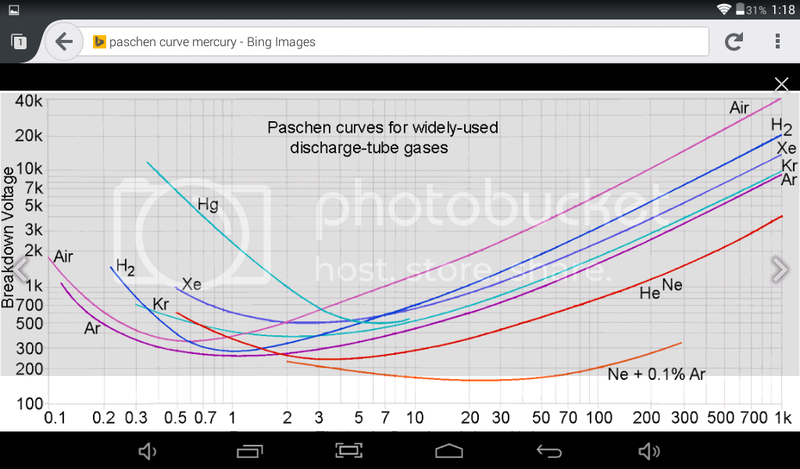 actually the bottom numbers are pressure in mm hg x centimeter spacing of electrodes. 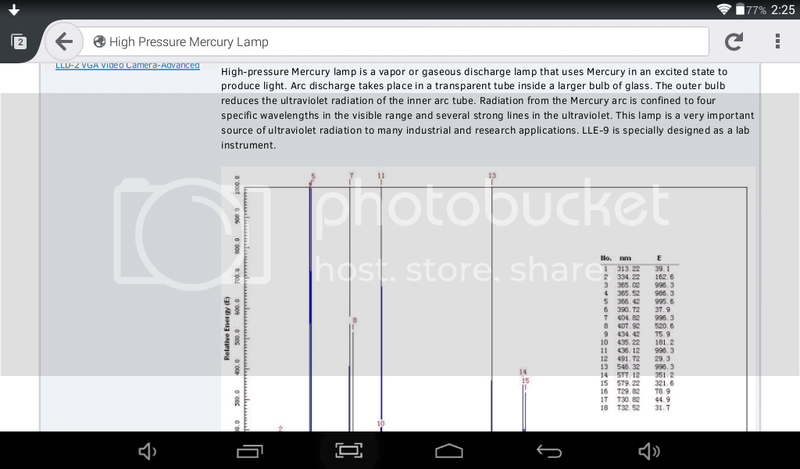 i thought mercury vapor needed a vacuum to ignite into plasma but this chart shows it under pressure and lower voltage ignition at higher pressure. but cascade of current is possible and this is the reason for controls on mercury vapor lamps.as current is hard to get at high voltage,an overflow of current is a good thing. after ignition.heat that is not lost from cooling should be directly converted to current.and is emitted as uv.another words meltdown of unit would be impossible at normal use, i suspect. 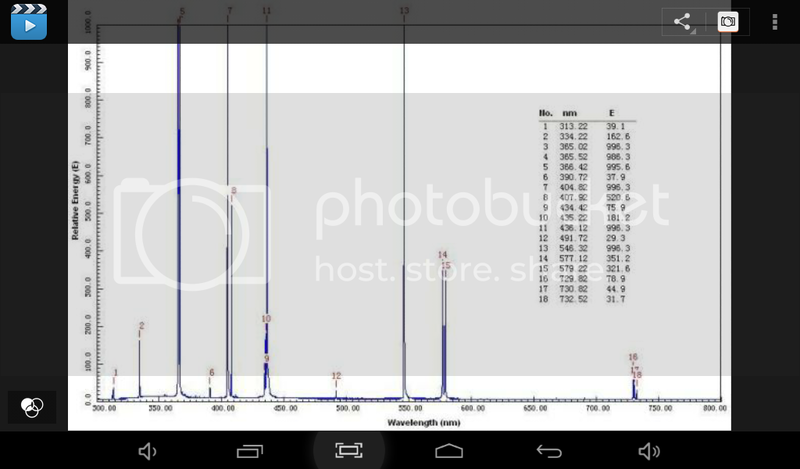 the chart shows 10,000 vdc as max.if thats a not a typo then machine should not produce xrays. im going out on a limb here but i think it would have to supply voltage once it self ignited due to 1500°f temp.as a plasma. 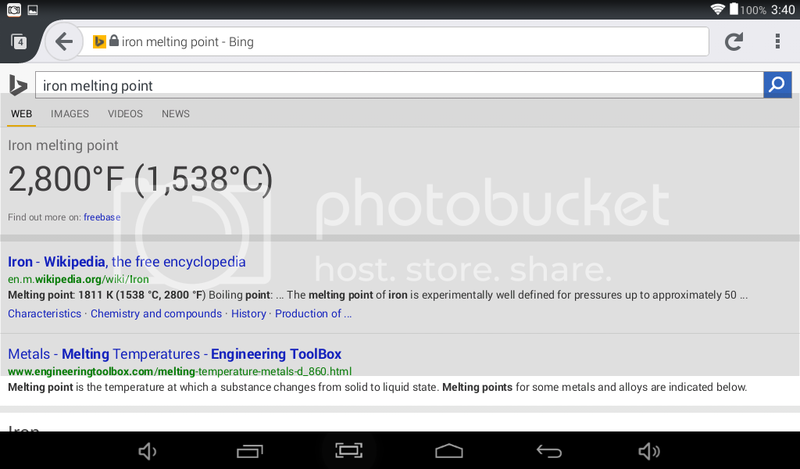 the unit may work right now if i can get that temperature. but i first i need to get an iron plumbbob. Not sure where the nearest Plumbbobs-R-Us is... [grin] Best of luck getting what You need! lol,found some steel ones but i dont know if steel will work. the reason i show this chart is the majority of plasma is created in the uv spectrum.as the heat increases,its mostly converted to uv.ionizing radiation.nothing in the infrared.no heat for melting iron pipes. but before it turns to plasma,its a hot gas.so im not trusting the brass plumbbob.i found a steel plumbbob but i would have to make a new ceramic.i do like its design. i found this on amazon.its steel covered in anti corrosion.i suspect galvanizing zinc.it would have to be burnt or buffed off first.so as not to contaminate the unit. what i really like is its wider angle.less chance of expansion causing ceramic to crack. 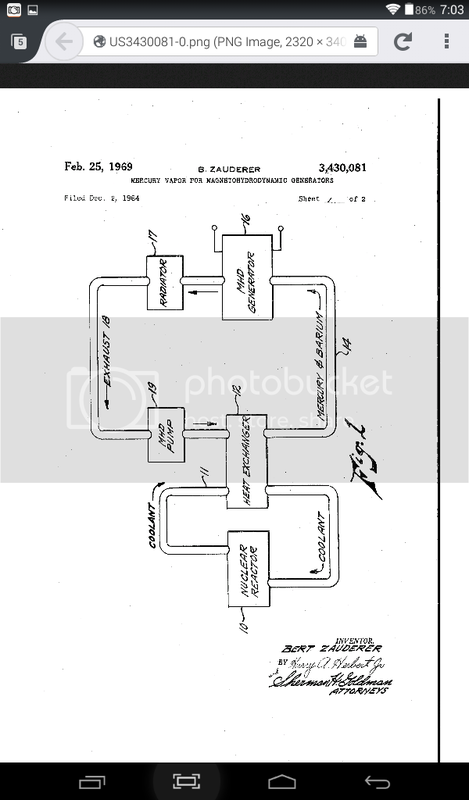 this is from that 1924 patent showing polarizing flow .it may explain what the coil is doing.making a magnetic field from the spirals.dense,negative charge flow.ive believed it so, but couldnt find anything to back it up. i think the ceramic im using is porcelain.so the temp looks good on it.